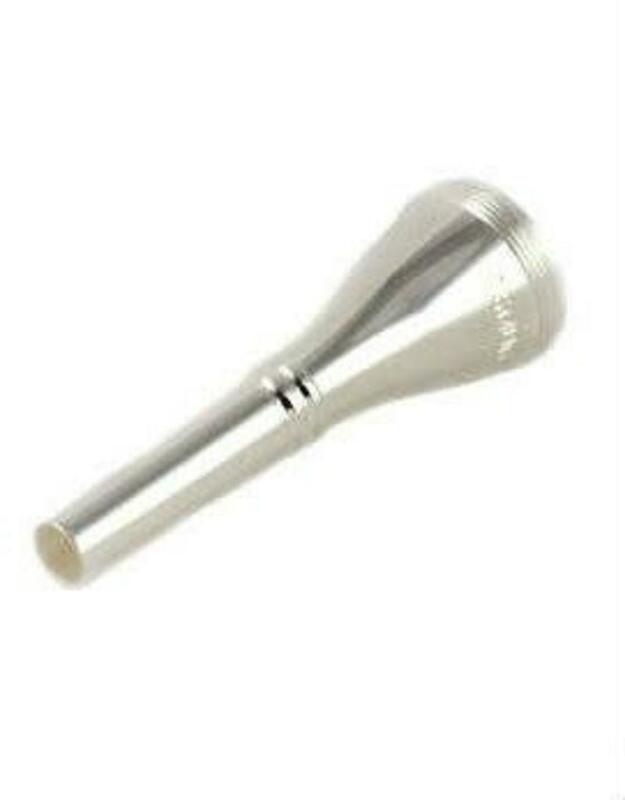 All mouthpieces are offered as standard as screw rim models with silver plated cups and gold plated rims. Silver plated and delrin rims are also available. Most cups are available in even bore sizes 8-18. New York cups are copies of the original Giardinelli C series and come in 1-4-8-10 bores. All Haydn cups are 16 bore. Metric cups have PHC-compatible 800-36 threads and a 17.5m diameter at the joint. They fit our metric rims and Paxman-Halstead Chidell rims. All depths are measured to a number 12 throat. Measurements include the rim height. The number stamped on the cup is the bore size. An M after the number indicates a metric cup.